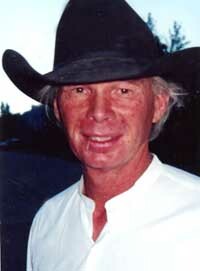 Bill Rousey passed away on Nov. 22, 2011, at the age of 68, after a mercifully brief illness. For those who knew him, Bill was a man whose happiest moments were standing alone in open, frozen fields, covered head to toe in camouflage, watching the skies patiently. From the banks of the Salmon River, from the edge of his boat listing across Magic Reservoir to each unexpected corner of this globe, Bill has written an unforgettable, unique history in the memories of each of his friends and family. His tale is a legacy of romancing the West, and embracing freedom in a world closing in on the foundational frontiers. William Eugene Rousey, born Nov. 4, 1943, grew up in Boise with his siblings, Cheryl, Larry and Randy, and parents, Eugene and Thelma. From an early age, he could be found outside, memorizing the turns in the river, learning the intimate details of an outdoor life of hunting and fishing. Bill came to Sun Valley in the early 1960s. On a ranch in Croy Canyon, he uncovered a passion for cowboying that would epitomize his existence forever thereafter. That is how he will be remembered by so many of those who knew him. This was a man who put bold ski tracks on untouched slopes across the world. His photography was not uncommon in the earliest years of Powder magazine, and he was himself a regularly impressive presence on Bald Mountain. He is survived by his loving family: his wife, Katie and stepson, Sam; daughter, Angie York and her husband Luke; grandchildren, Brady, Riley, Storm and Sylais and great-granddaughter Scout; mother, Thelma Mae Boyd; sister, Cheryl Little, and her husband, Tom Roush; brother, Randy Rousey and his wife, Debbie, and their children, Alex, Lucy and Larry. Bill was preceded in death by his father, Julius Eugene Rousey and his brother, Larry. Also, a lifetime of good dogs and horses. Bill, you will be profoundly missed. Memorial services will be held on Saturday, Dec. 10, at 3:30 p.m. at the Sagebrush Arena located at 131 Buttercup Rd. in Hailey, Idaho. Arrangements are under the care of Wood River Chapel. Friends and family are invited to leave condolences and share memories at www.woodriverchapel.com.